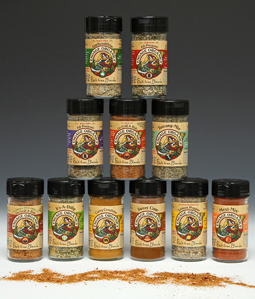 Engage Organics Seasoning Blends are plant-based healthy flavor-alternatives to salt and sugar. Three of the seasoning line are seed-free. 32-ounce jars are available for food service. Click here for more recipes using Engage Organics Seasoning Blends. The company the women launched was called Parsley Patch. Jon Gage, Pat’s husband, was a partner with food brokers Chapman Tait, and it was his idea to reformulate the blends to make them the first to be all-natural and salt-free.